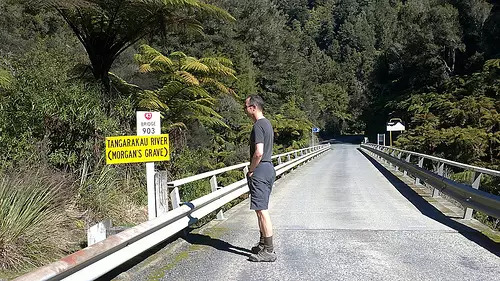 Curiously, most Kiwis have heard of the Forgotten World Highway New Zealand in Taranaki but no one has claimed to have actually travelled it. They’ll tell you that they’ve always been meaning to, but never quite got round to it. Perhaps they may be put off thinking that it is an endless gravel road. However of the 155km route that is the Forgotten Highway, only 12kms is actually gravel. 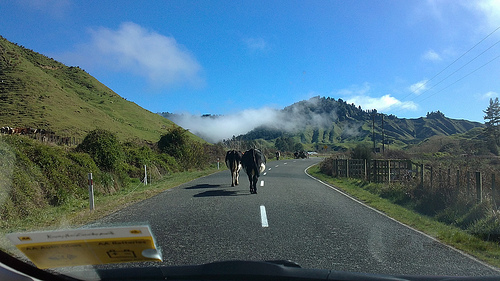 This beautiful scenic rural road lies between Stratford and Tauramanui. It is off the beaten track so fill up with petrol before you start. 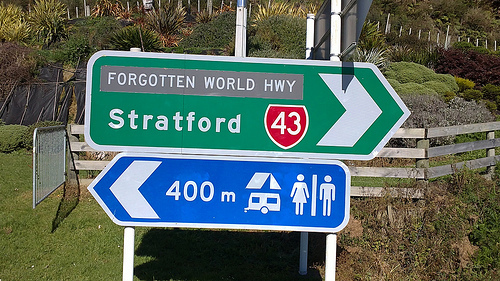 The Forgotten World Highway New Zealand can be found in the real heartland! Now for any scenic drive, it helps that the weather behaves itself. These photos demonstrate the perfect day – ideal conditions for travelling a wonderland full of history. These’s no chance of getting bored on this road – the scenery changes every 10 minutes First its a bit arid, ten it gets much greener – so green in fact that you might think you’re driving in Ireland! When I travelled this road, it reminded me of classic ‘Hobbit’ country. This is a wall maintained safe road and you won’t see many motorists at all. Actually on the day we travelled, there were only a few farmers transferring their cattle to another paddock. It pays to slow down and be friendly. 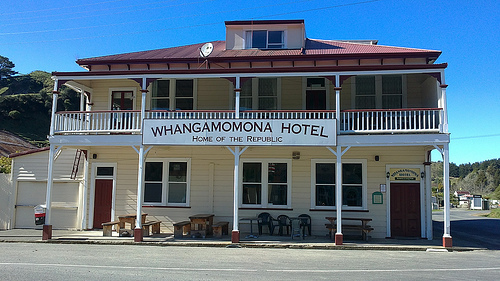 After a while you’ll head into the tiny “Republic of Whangamomona”. (Not really a Republic, but the locals would like to believe it is) Actually when the locals declared this settlement a Republic, their first appointed President lasted only 10 days. Their second President managed to last for 10 months, but he too, succumbed. Perhaps in pure desperation, they finally voted in a dog which reigned supreme for 3 years – after which he stepped down after receiving death threats! Its important to be aware that the pub doesn’t open until 11.00 am! So it pays to load up on snacks and maybe lunch, before you set out. Its a very quiet little settlement with just a few locals milling around. But they’re a friendly lot and definitely up for a chat. 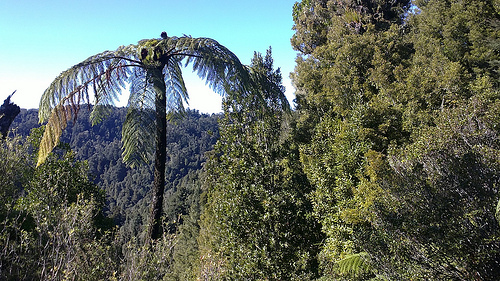 From here, it takes about an hour to reach the cute little town of Taumarunui. Try lunching at Ruddies Place Cafe – highly recommended. Folks, the Forgotten World Highway is not for tourists but a hidden gem to be enjoyed by travellers. Here’s how one of our Facebook friends described it…”It’s a driver’s road. Passengers’ road. Photographer’s road. Landscape-lover’s road. Memorable road”. Thanks James, we couldn’t have put it better ourselves.